The REACH Campaign is a capital campaign to fund the remodel of our new 8,200 SF church building facility located at 2900 N Mason St in Appleton. After the campaign, we’re hoping to start work immediately in order to move in this summer. You can read more about this process here and here. For the past 8 years, Appleton Gospel Church has been a “mobile church” setting up and tearing down every week at the YMCA. The YMCA has been a wonderful partner of ours as we planted and grew. However, for the past few years, we certainly felt the need for a more purposeful space with more visibility in our community to allow for continued growth for years to come. The REACH Campaign and new building will allow our congregation to both improve and expand our ministry. The building has a capacity of over 500 people (with multiple services) and, God willing, we’ll REACH hundreds of people in the coming years! This is what our mission and vision are all about—to share good news and help people grow in their faith so that the gospel of Jesus will transform the people of the city in every way. In order to take the outdated office space that it currently is, and make it into a modern worship facility, our goal is: TO RAISE $175,000 IN ONE-TIME AND MONTHLY GIFTS. This amount would cover building contractors and materials; audio, video, lighting, and IT; furniture and decor; and professional services (design, legal, city fees, etc.). A building fund has been created for all REACH Campaign gifts (below). The project amount is dependant upon the significant cost savings of doing as much as we can with volunteer labor. So get your tool belt ready! After deciding how you will partner with us in this project, please let us know! 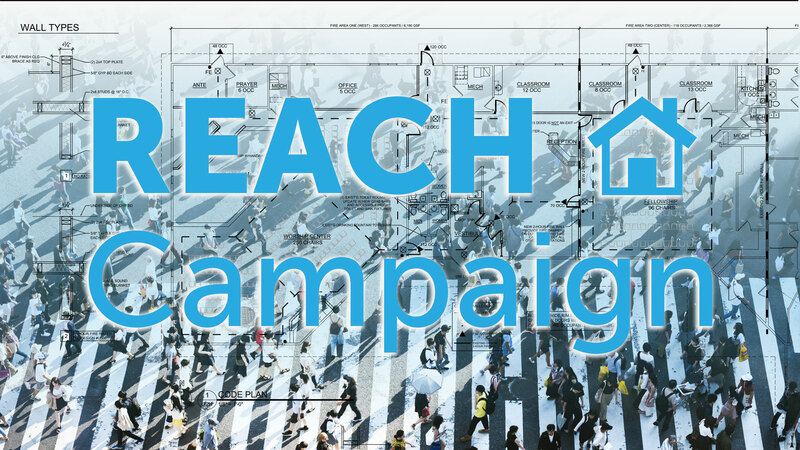 REACH Campaign Response Cards are due by May 12. Cards can be filled out at church or online (below). We will share the results of the campaign on May 19. There is no way this would be possible without the gracious provision of God and the great generosity of many people in and outside of our church. I can’t wait to see what God will do in and through this season of stepping out in faith. If you’d like to meet with us to discuss this project in more detail, please let me know (below). Thank you in advance for your faithful and generous gifts! Almost exactly one year ago, I wrote Building A Church, Part 1 laying out our process and reasons for looking for a new church facility. Much has happened in the past 12 months. We looked at dozens of properties all around the Appleton area to purchase/lease. Our twin goals were: 1) to find a more purposeful space for ministry that we could make our own (for worship, children’s ministry, youth group, outreach events, classes, weddings, funerals, etc.). And 2) to find a space large enough to allow us to continue to grow for years to come. We seriously looked at several buildings to purchase, but in the process, we determined it would be better for our church to lease and remodel rather than purchase. Two weeks ago, I emailed the church to let them know that we had found our new church home. The building is located at 2900 N. Mason St. Appleton, WI 54914. It’s an 8,200SF commercial facility located in north-central Appleton (right next to Festival Foods). The location is excellent for several reasons. First, since it’s near Northland Ave and Richmond St, it’s very accessible for people coming from all over the Fox Valley. Second, it’s bordered on two sides by residences. We will seek to love and serve our neighbors and have a positive impact on the whole neighborhood. Third, the other tenant in the same building is one of the DOC Probation and Parole Offices. This could be a unique opportunity to help people coming out of the prison system. First, as we’ve asked all along the way, would you pray about this? Would you pray for wisdom and continued guidance? Would you pray for unity and excitement for our church? Would you pray for our future neighbors? And would you thank God with us for providing a new home? Second, we would love your involvement. There’s a lot of work to be done before we can move in! 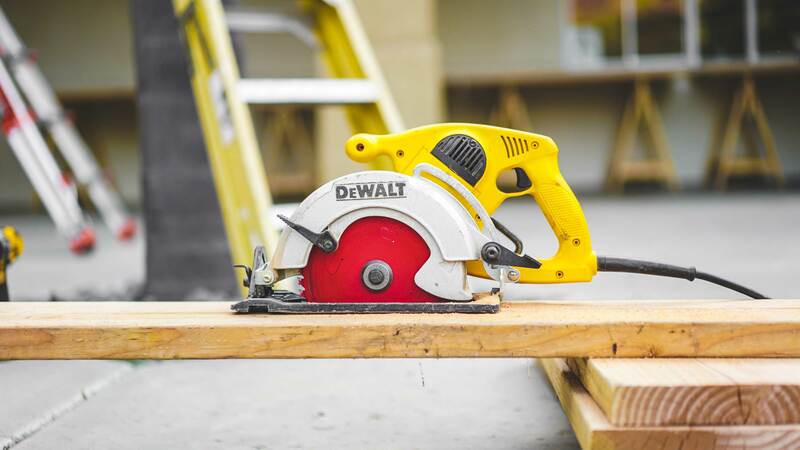 There will be much help needed in demolition, painting, cleaning, and building. Get your workboots ready! The only way this works is if we work together as the body of Christ. Third, we will have more information about the remodel plans and the required capital campaign shortly. We are currently gathering bids and formulating plans and timelines. We are hoping to have a congregational meeting on March 17th to present all this to the church. We are very excited about this and hope that you are excited and encouraged, too. We believe this will be a significant milestone in the life of our church and will allow us to do gospel-centered ministry more effectively for years to come. We understand that with any move comes change and change can be painful at times. But we trust that God will be with us every step of the way. For the past few weeks, I’ve been making The Case For Going to Church. I’ve been trying to clear up confusion about what the local church is and what it is called by God to do (worship, community, ministry, and mission). First and foremost, a local church is supposed to regularly gather for worship (see The Local Church: A God-Glorifying Family). Second, a local church is supposed to be a community of deeply loving relationships (see The Local Church: A Beautifully Blended Family). 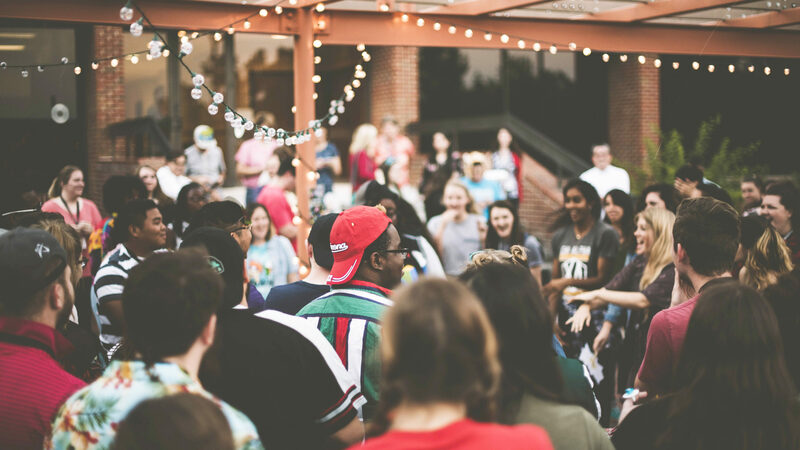 Third, and what we’ll focus on in this post, is that a local church is supposed to provide ministry, i.e., loving service that meets needs and builds up the body of Christ. Ministry is done by all, not just a select few in both formal and informal ways. The local church is to be a sacrificially serving family. Many people think that only professionally trained pastors, missionaries, and church staff members do ministry. However, this idea falls far short of God’s desire for his church. God appoints leadership in a local church not to do ministry for the people, but to equip people to do ministry. Ministry is done by all, not just a select few. If a church was a sports team, the pastors and ministry leaders are not the players on the field; they are the coaches who equip and encourage the players. When people first start attending a church, they may indeed feel like they’re in the stands watching ministry happen. But when you give your life to Christ, he calls you to leave the stands and join the team on the field. Get in the game! Pastors and ministry leaders might be called to a unique role within the church, but they’re not the only ministers. God’s plan is for every member of his family to be a minister. A local church is to be a sacrificially serving family. One of the brilliant aspects of God’s plan for ministry is the diversity of gifts that people have to contribute. People are wired very differently and have many spiritual gifts, passions, and experiences to offer in ministry to others. In 1 Corinthians 12, teaching on spiritual gifts Paul says, “Now to each one the manifestation of the Spirit is given for the common good.” (1Co 12:7) Notice he says to each one, again, not just to pastors and leaders. Also, he says that these gifts (referring to them as a manifestation or visible work of the Spirit) are given, why? Not for personal gain, status, or recognition—not for selfish reasons—but the common good. God wants to use everything of who you are (including your background, personality, knowledge, spiritual gifts, interests, vocation, strengths, weaknesses, etc.) to sacrificially do good for others. This is one reason it severely limits a church’s ministry impact to think that only a select few are responsible for doing the work of ministry. As we minister to one another, we’re seeking to provide loving service that meets needs and builds up the body of Christ. Builds up how? In our unity in the faith, our knowledge of God, and our maturity in Christ. “He [Christ] is the one we proclaim, admonishing and teaching everyone with all wisdom, so that we may present everyone fully mature in Christ.” (Col 1:28) This was Paul’s goal, and this is our goal for ministry. This means that every activity, every action, every group, and every word that is done under the banner of ministry must be able to answer the question: how is this _______ building up people in unity, knowledge, and maturity? If the answer is, it doesn’t, then it isn’t ministry! It may be fun, or it may be a good thing to do, but if it doesn’t accomplish the goal of ministry, then it’s something else. Confusion on this point is the cause of loads of fruitless ministry activity in churches. However, the beautiful fruit of ministry—of growing in unity, knowledge, and maturity—is a life of increasing love. As someone matures in their faith, they will supernaturally grow in their love for God and other people. Love is the harvest of ministry. If we want churches full of people who are growing in love, we must joyfully pour out our lives to minister to one another with all the strength and power and grace that God gives us. At Appleton Gospel Church, we have formal structures for ministry which we call ministry teams. Currently, our teams include our Worship Team, Gospel Kids Team, Student Ministry Team, Women’s Ministry Team, Welcome Team, and Setup/Hospitality Team. We also have individuals who help serve in the areas of finance, teaching, graphic design, and more. As needs come and go, these teams may grow or change over time, but every person has a unique ministry contribution to make. If you aren’t part of a ministry team, we need you! But secondly, there are informal opportunities for ministry all the time. Dropping off a meal for someone who is ill, sending an encouraging text, or offering to pray for someone can be informal works of ministry. Watching someone’s kids so they can attend a community group, listening and providing helpful advice, or giving someone a ride to church can be informal ways to meet needs and build up others. These are Spirit-led opportunities, not necessarily activities that need to be coordinated by church leadership. But they are needed all the same. So today, do you see yourself as a minister? Do you understand that you have unique gifts to offer others in the church? Do you know how much joy is possible in a life of sacrificial service?? What is one thing you could try this week to meet a need or help someone grow in their faith? Take a risk. Take a step of faith. Come down out of the stands. It’s an incredible honor and privilege to participate in the work of God in other people’s lives. For the past few weeks, I’ve been making The Case For Going to Church. I’ve been trying to clear up confusion about what the local church is and what it is called by God to do. First and foremost, a local church is supposed to regularly gather for worship (see The Local Church: A God-Glorifying Family). Second, and what we’ll focus on today, is that the local church is a beautifully blended family with deeply loving relationships. The gospel is not a story about a local god or even a regional god of a particular tribe, people, or language. The gospel is the story about God, the Maker of heaven and earth, the Ruler of all nations, who loved the world so much that he gave his one and only Son…to do what exactly? So ever since, by faith in Jesus, people from all over the world—regardless of ethnicity, culture, or background—are saved and are united into one new, radically inclusive, beautifully blended family/household (v. 19). This is astonishing. What other family, nation, or tribe is like this?? What other religious story is like this? In Christ, God is uniting diverse people as brothers and sisters for all eternity. So, we do not gather for worship as a crowd or an audience but as a family. And we are not united by our common interests, preferences, or politics (as powerful as those connections may be!) but by Christ alone. A local church is an expression of God’s beautifully blended family. So, how does a local church relate to other churches? As my immediate family belongs to a greater extended family, so a local church belongs to the universal Church. That Holly and I and our three kids don’t live, eat, work, and play with our aunts, uncles, grandparents, and cousins every week doesn’t break our relationship. So the fact that our local church (Appleton Gospel Church) doesn’t gather every week with all the other Christian churches in the world doesn’t break our relationship, either. Because God is forming a new family in Christ, we must ask, What does this mean for our relationships with other people at church? If we are family members, brothers and sisters with a common Father in heaven, then our relationships must be the same as any healthy family: deeply loving relationships. What helps form deeply loving relationships? Now, I know it’s not always easy to worship God or spend a good deal of time with people who have different likes/dislikes, preferences, opinions, and politics than you have. People are wired very differently! And it’s downright challenging to form deep relationships with certain people. But in our deference toward others—and the humility, love, grace, and patience that unity in diversity requires—God is greatly glorified. Loving people who are different than you (culturally, ethnically, etc.) is a unique and beautiful glory that is impossible to give God on your own. This is why being committed to regularly gathering to worship God with your fellow brothers and sisters in Christ is so important. This is why being committed to regularly meeting in a Community Group, men’s/women’s ministry group, or Bible study that is part of your local church is so important. This is why it isn’t super helpful to jump from one group to another in a church or to sample from a variety of ministries from churches in a region (as wonderful as those experiences might be). There’s simply no way to build deeply loving relationships with people you see only a handful of times in a year. Finally, there’s no way to replicate deeply loving relationships online. Social media can supplement in-person relationships, but it can never replace them. People cannot be fully loved from a distance. Why is Sunday such a big deal for Christians? Is it ever ok to skip church? Is it ok to worship at different churches from time to time? Personally, I have friends and family members at different churches in the area. Why wouldn’t I bounce from church to church? Well, the truth is I have to preach almost every week at one, particularly amazing church. 🙂 Aside from that, Is there any reason to be committed to a single local church? Good question! Last week, I started making The Case For Going To Church. In that post, I emphasized that a church is the family of God formed by faith in Christ. And it would be pretty weird to have a family you never saw or spent time with. But there’s so much more! Here’s the rub—these things can only be done fruitfully through a long-term commitment to a single local church. Worship, community, ministry, and mission are what the people of the church gather to do. But first, let’s spend a little time unpacking why the language we use can be so confusing. The Church Is A What? According to the New Oxford American Dictionary, the English word “church” comes from the German word “kirche” which is based on a shortened Greek phrase “kuriakon (dōma)“—meaning, the Lord’s (house). So, over the years, our word “church” acquired a reference to the gathering place—the Lord’s house. This shift in language started to shift people’s thinking about the nature of the church. If a church is a gathering place, rather than a people who gather, then it’s easy to see how you could bounce from one place to another. What difference would it make to worship here or there or anywhere? But this is not how it was supposed to be. In the Bible, the word translated “church” is the Greek word ekklesia (pronounced ek-klay-see’-ah). In the first century, AD, an ekklesia was a gathering or assembly of people. This is why it makes more sense to say the church is a family rather than a building. A family is made up of people with covenantal, not consumer relationships. What does that mean? A church isn’t a coffee shop. If a coffee shop stopped serving good coffee at a reasonable price, you would just bounce to the coffee shop down the street. Or if you get bored of the bakery, you’d just bounce to the shop down the street for a different selection. This is perfectly acceptable in a consumer relationship. But a church is a family with covenantal relationships. Covenantal relationships are supposed to be deep, lasting mutual commitments. This is why it is so much more painful for a family to break up than for a coffee shop to go out of business. There’s both stability and security in a covenantal relationship. You don’t have to wonder if people will be there for you. My kids can’t just bounce to a different family if they’re unhappy or bored with our family (even if they wanted to!). Families don’t work that way. And churches aren’t supposed to work that way, either. Make sense? Ok. So why does a local church gather? There are many benefits to worship—from being encouraged, challenged, and inspired to being able to serve others, form new friendships, and more. But the primary goal of our worship is not for our benefit. The primary goal of our worship is to give God the glory due his name (Ps 96:8). The main direction of worship is vertical, not horizontal. Why? Because God is supremely glorious! Nothing in the universe shines brighter or more beautifully than God. “The heavens declare the glory of God; the skies proclaim the work of his hands.” (Ps 19:1) In who he is and what he’s done, God deserves all glory, honor, and praise. So, the local church is first and foremost a God-glorifying family. Of course, worship isn’t limited to Sunday mornings. “So whether you eat or drink or whatever you do, do it all for the glory of God.” (1Co 10:31) Christians have the freedom to worship God at home, at work, out loud, in the heart, individually, in a crowd, on Monday, on Tuesday, on Wednesday…you get the idea. But the truth is, when we gather as a local church, we can glorify God more together than we can on our own. Why? Because we do so together. We glorify God by singing together, praying together, obeying God’s word together, taking communion together, giving together, and serving together. All these things bring more glory to God when they are done together! It’s the togetherness of worship in the context of the covenantal relationships that’s one of the things that makes worship so sweet. When you worship, you’re not just an audience at a performance. You’re a people who are deeply committed to one another, who gather to magnify the name of Jesus together! Not being able to attend worship from time to time is understandable. Sometimes traveling for work or a sick family member prevents us from attending worship. But when we can’t gather, we should share the emotion found in Psalm 84, “My soul yearns, even faints, for the courts of the Lord; my heart and my flesh cry out for the living God…Better is one day in your courts than a thousand elsewhere.” The courts here refer to the temple courts where God’s people gathered for worship. Does your soul yearn for God in worship (Ps 84)? Does your soul long to be with God’s people in worship (Ps 42)? Maybe we need to be reminded of the glorious truth of who God is and what he has done for us in Christ. Maybe our gaze needs to be fixed on the cross and the empty tomb once again. The gospel has the supernatural power to set a believer’s soul on fire. There’s nothing else like it. This is why we’re so passionate about our mission of sharing good news—worship pours forth in response! But maybe with all the busyness of life, we never stop to listen to the longing of our souls? Maybe we need to put a little extra thinking into how we schedule and prioritize our lives? Do you think about the impact it might have on your ability to gather for worship? Now, please hear me—none of these things are inherently bad. In fact, I intentionally chose examples that, on their own, might be helpful things to do. But if the busyness of life is limiting your ability to gather for worship, even good things can become spiritually unhelpful or even harmful. The local church is a God-glorifying family. My encouragement is this: find a church that isn’t afraid to talk a lot about Jesus and where you feel like you sorta fit, and then decide to make that your family. Commit yourself to it, make the gathering a priority, and don’t bounce! May our church be a joyful, passionate God-glorifying family. May the name of Jesus be lifted high in our midst. May the Spirit open our eyes to the barriers in our lives that keep us from worship. And may God be glorified in every aspect of our lives both now and forever! Have you ever heard someone say this? “Don’t go to church. 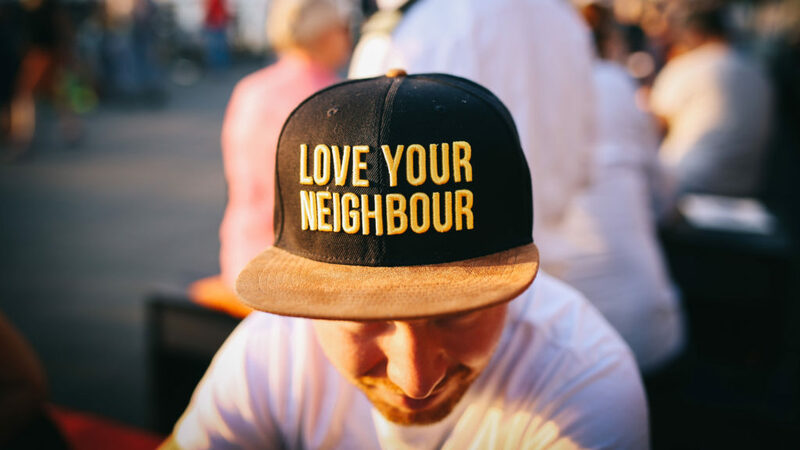 Be the church!” Interestingly, I recently heard this from Christians who were both theologically liberal and conservative (and how often does that happen?!?). This statement is catchy—but is it true? If so, does “going to church” even matter anymore? First, a little context. 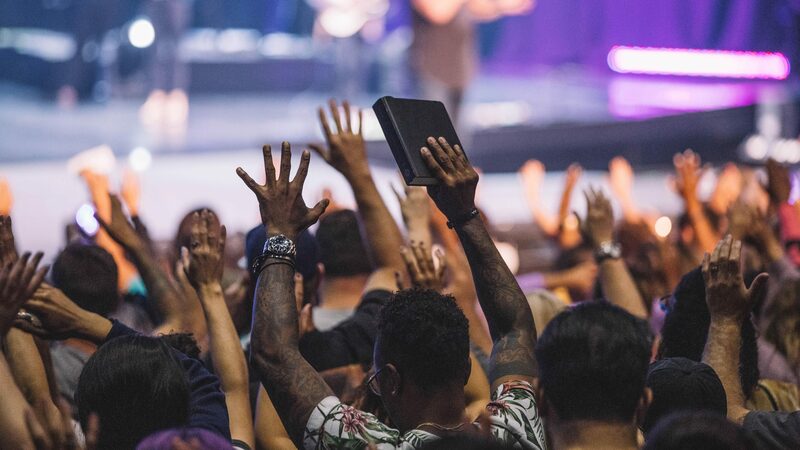 Across the country, pastors have shared with me the reality that fewer people are attending church, and of the people who do attend, they do so less frequently. Weekly church attendance has declined to 2-3 times per month. Monthly attendance has fallen to once every 6-8 weeks or less, and so on. I’ve seen this trend as well. To be fair, this is part of a broader cultural shift. It’s hard to get people to leave the house for any reason. Fewer people attend movies and concerts, join clubs, participate in local government, etc. Why is church attendance less frequent? There are numerous factors, from busyness and increased mobility, to scandals and bad theology, and more. But one thing’s for sure; it’s much easier and more comfortable to download worship content (sermons and worship music) while we run on the treadmill of life (or on an actual treadmill) than to go to worship in a local congregation—in all it’s sometimes awkward glory. So is this trend just a change in cultural preference (a new normal?) or are there Biblical reasons to prioritize church attendance that may be increasingly countercultural? There’s much to say, so let’s begin. “Being the church” focuses on the fact that our Christian faith is rooted in our identity in Christ (being the church) and not in what we do (going to church). Having dinner with people doesn’t make them a family. But often, families have dinner together. Why? Because they are families! Activity flows naturally out of identity. This is both helpful and Biblical in understanding the church. At the same time, Christians should absolutely still go to church. Meaning, Christians should faithfully, regularly gather in-person for worship as a local church. Why? Certain things only happen when people are together. You can have 1,000 friends on Facebook and still be lonely. There are certain aspects of our relationships that are impossible to replicate online. Relationships are foundational to the Christian faith. The relationship of God the Father, Son, and Holy Spirit form the basis of all reality. When asked which was the greatest commandment, Jesus said, “Love the Lord your God with all your heart and with all your soul and with all your mind. This is the first and greatest commandment. And the second is like it: Love your neighbor as yourself.” (Mt 22:37-39). How good would my relationship be with my family if I never saw them, spent time with them, or talked with them? How healthy would our family be if we never had dinner together, went on vacation together, or demonstrated our love for each other? Technically, they’d still be my family, but I’d need a DNA test to prove it! The church is the family of God formed by faith in Christ. So followers of Jesus ought to regularly gather in-person as a local church—a family of faith. The more time we have together, the more opportunities we have to strengthen our relationships with God and one another. The more often we gather in-person, the more we love one another, the more healthy our family will be. Maintaining weak relational ties to God and your brothers and sisters in Christ is the context for defeat, not victory. So how about you? Are you willing to commit the time to be with your family? Are you willing to sacrifice your preferences at times to be with your family? Are you willing to let your activity flow out of your identity as a member of a family? Are you willing to let your guard down enough so that others can know you, love you, and help you follow Jesus? I pray you do. This is what you were created for and it really is the best way to live. In subsequent blogs, I will unpack four purposes of the local church: worship, community, ministry, and mission. In the meantime, why do you go to church? This Sunday our church is throwing a big party. We sent out invitations. We booked a big venue and some big, bouncy inflatables. We’re going to serve a ton of food and do our darndest to make sure that the kids have a blast. Why? Why would we go through all the trouble? Why would we spend the money? Are Christians even supposed to party? Good questions. The purpose of our church isn’t to entertain people or to offer fun programming to keep kids busy (and out of their parents’ hair). As a church, our mission is sharing good news. We help people find stability and hope in this crazy world by sharing good news every week. What does this look like? Sharing good news primarily comes in the form of our worship on Sunday mornings, including our singing, preaching, praying, serving, and giving—all designed to share the good news of who God is and what he is doing in the world through his son, Jesus. But we also need to show good news outside of Sunday mornings. One of the ways we do this is by serving those in need. This is why from the very beginning of our church we have partnered with the Fox Valley Warming Shelter to fight homelessness in our community. Another way we show good news is by throwing a big, fun, expensive party every once in a while. Why? Because we have so many reasons to celebrate! Because of Jesus, I have believed a message of good news. Because of Jesus, my whole life is transformed by good news. Because of Jesus, sin is dead and death itself is overcome. Because of Jesus, I will live forever in the family of God. Because of Jesus, I get to share good news. Because of Jesus, I get to see other people’s lives transformed by good news. If you are a follower of Jesus, of course, you will have times when you don’t feel like celebrating. There will be serious times when you lament, or you mourn with those who mourn. This is normal in our screwed up world. But the Apostle Paul also said to rejoice with those who rejoice! (Ro 12:15) Jesus’ first miracle in John’s gospel (Jn 2) was to turn water into about 150 gallons of wine at a wedding celebration. Now, that’s a lot of wine (about 750 bottles). And it wasn’t a bunch of Bota Boxes; they said it was the best wine. John wrote that this miracle revealed Jesus’ character, what he was like; it revealed his glory. To be clear, Jesus didn’t get drunk on all that wine. There are many ways to party that are completely out of line with the way of Jesus. But Jesus certainly wasn’t opposed to the celebration. And isn’t it interesting that Jesus was invited to parties at all? He must not have been a huge drag to be around. He was constantly being invited to dinner parties. So what about you? Are you a drag for people to be around? Apparently, that’s not very Christ-like. Let me ask you this: Has the reality of the gospel transformed your life? If so, then you’ve been shaped by good news. Does it reflect in your attitude? Your lifestyle? You have so many reasons to celebrate! Do you live with a sense of celebration? What reasons do YOU have to celebrate? My wife, Holly, and I have precisely zero broken bones between the two of us. So far, 2 out of our 3 kids have broken bones, and we still have some time to get the full set! (What does this say about our parenting??) Here’s what I know about broken bones: they can be big, ugly, obvious breaks or tiny almost imperceptible breaks. However, big or small, broken bones still need to heal. You can’t ignore them or pretend they will treat themselves. 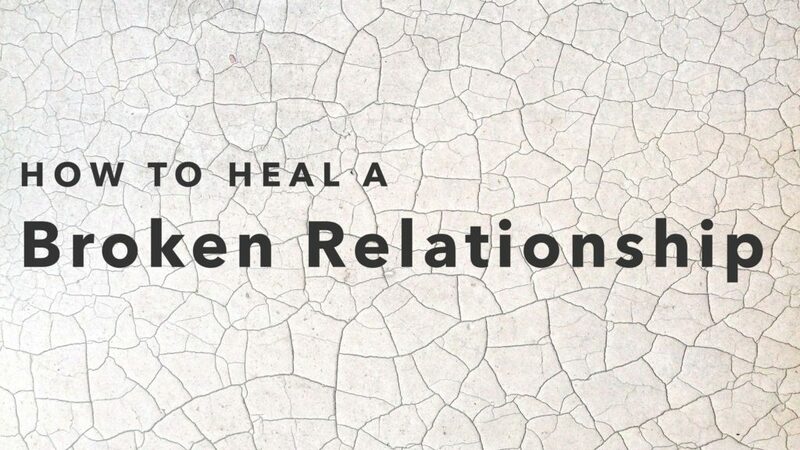 How to heal a broken relationship: Broken relationships are a lot like broken bones. Whether in marriage or parenting or friendship or at work—broken relationships are painful, sometimes traumatic, and need healing. If you ignore what happened or what was said, it will not fix itself. Time may dull the emotional energy of the break, but without an active process of healing, the relationship will never recover much less grow stronger. If you break your arm, there are two distinct phases of healing: 1) the cast and 2) to physical therapy. A cast provides a temporary safe space for healing. But when the cast comes off, your arm will be weak and in need of physical therapy to regain function and strength. When you fight with your spouse, friend, child, or coworker; when words were said that can’t be taken back and when trust disappears; the relationship needs a cast and physical therapy just like a broken arm. What things might take place during the temporary “cast” healing time? Give Space: Separating isn’t supposed to further drive a wedge between two people. Increasing space temporarily can help provide perspective on the conflict and can reduce the emotional heat of a disagreement. The motive of space is love, and the goal of space is reconciliation—not to continue to drift apart or punish the other person. Pray: Have you invited God into the conflict? “Father, would you bring healing and peace? Would you forgive me and help me forgive those who’ve sinned against me? Help me to see how I can love my enemy in this situation.” Never underestimate the power of prayer. Pray and keep praying. Self-reflect: Ask yourself, “What, if anything, did I do to contribute to this break? Do I own my part? Can I ask for forgiveness without reservation for my sin? Have I forgiven what was done/said to me?” Pain is always an opportunity to learn. What is God teaching you about yourself at this moment? What truth do you need to remember and believe at this moment? If you have trouble with this, talk with a professional counselor. Reach Out: Don’t be afraid to take the first step toward reconciliation. This requires humility and courage. After giving space and taking the time for prayer and self-reflection, send a text or make a call and initiate the conversation. If you are afraid for your physical safety, don’t do this alone. What things might take place during the “physical therapy” strengthening time? Go on a Date: This is for the couples after a conflict. Do you want your marriage to survive or do you want it to flourish? The choice is up to you. Intentionally invest time and money into the relationship. Put it on the calendar, weekly or every other week, get a babysitter, and make it happen! Show your kids that mom and dad really like spending time together. This can have a generational impact. Make New Memories: Book a hotel, go on a road trip, try a new restaurant, go paintballing, go to a concert, serve/volunteer together, go camping/hiking, experience something new together. New memories bring joy and fun to a relationship. This is what life is all about! Have Clear Expectations: Are you both clear on what led to the break and how you will avoid that in the future? When someone has been deeply wounded, forgiveness can be immediate, but it takes a great deal of time to rebuild trust. Do you both have reasonable expectations for how long it will take to restore the relationship? Serve Each Other: What do they really like/appreciate? What do they need help doing? How could you be a blessing to them? How could you practically love them? Words are necessary for healing a broken relationship, but actions speak louder than words. Find ways to show how much you value the relationship. Worship Together: Make your relationship with God primary. Loving God with your heart, soul, mind, and strength results in a growing love for all people made in the image of God. The Holy Spirit will guide you and correct you (when needed) in any relationship you have. God is our great Healer. Healing a broken relationship—whether it’s a big, ugly, obvious break or a tiny, almost imperceptible break—is not usually easy or fun. But remember, if nothing changes…nothing changes! It takes humility, courage, and action to pursue healing. But amazingly, a restored relationship can be far better and stronger than ever before. I’ve seen it. There is hope for healing any relationship. I firmly believe that. For more resources, check out our Reconciliation Sermon Series. Welcome to Your Marriage…How Can I Help? Sitting on our big front porch (our favorite place), decompressing after a long day, Holly and I chat and watch little bugs lazily float in the sunlight, and friendly neighbors walk their dogs. Boy, our lawn needs to be mowed. I think. Maybe one of the boys could do that? I turn to Holly, “I saw a video online of a couple in ministry talking about marriage today. And it got me thinking, what would we say we’ve learned about marriage? I mean, aside from how easy it is being married to me.” Ha, ha. Huh. That’s a new picture. Now obviously, Holly isn’t my customer—but what if we thought of ourselves as personally responsible for the quality of our spouse’s experience in marriage? What if we saw it as our job to actively look for ways to help our spouse and our marriage get better? Wouldn’t that make a huge difference? Not just in the quality of our relationship but our love, joy, and peace as well? After observing a LOT of couples as a pastor, I think the bar for the quality of the typical marriage relationship is way too low. The relational standard for the average marriage is basically ALCAP (As Little Conflict As Possible). But is that really the definition of a quality relationship? NOT fighting? I would say it’s neutral at best. That doesn’t speak at all to what a relationship is supposed to be in a positive sense. But I get it. Married couples are two imperfect, sometimes downright evil individuals. Little character cracks or quirks that are readily overlooked or are even endearing while dating can become infuriating in marriage. Marriage is tough. It’s a daily struggle to love your spouse well. And—shockingly—your spouse is having just as tough a time loving you as well! So, how do customer service reps serve their customers? 1. They fight to listen. They ask questions, they study surveys, they’re always gathering data. It’s hard to hear anyone in today’s chaotic world. So we can’t be passive in listening to our spouse—we need to fight to listen. How are they doing? How was their day…really? How did that conversation go? What are the areas in your relationship that could be better? When was the last time they really felt loved? Husbands, how/when do you fight to listen to your wives? They understand that people are wired very differently than they are, so they will undoubtedly see the world in a different way. They try to understand where their customers are coming from, feel what their customers are feeling, and find common ground to build relational trust. This is Relationship 101. It takes time, honesty, and empathy to build trust. Wives, do you see the differences in your husband as differences or as flaws? How are you seeking to understand him? 3. They work to solve problems. When do people call customer service lines? Not usually to praise the company for making excellent products or providing marvelous services. Usually, it’s when something is wrong! Marriage is hard. Even when things are going relatively well, it takes a lot of work to stay healthy, much less to grow. Few couples go into marriage understanding the amount of relational work that will be in their future. But it’s not drudgery! The work of listening, empathizing, and working on problems and growth areas is some of the most fulfilling work you could imagine. You might not receive a salary for this work, but you’ll see a great return on your investment. Maybe not every day, but month by month and year after year, you’ll see a rough sketch of a human being, come into focus in the likeness of Christ. Over time, you’ll have the opportunity to see the God-given potential of your spouse and experience a deeply satisfying relationship with someone sharing a journey of growth. Christians have the best motivation for adopting this customer service mindset. In the gospel, the servant-based love we’ve received from God in Christ is the atomic power source of love for everyone else. 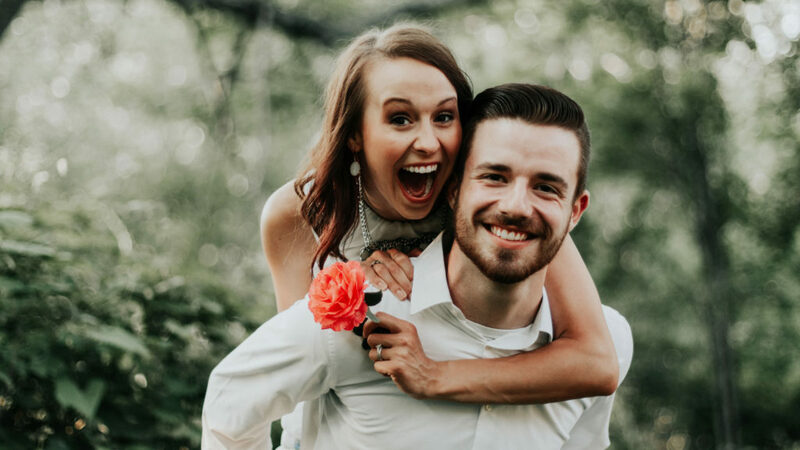 “We love because he first loved us.” (1Jn 4:19) This is why the Apostle Paul encouraged husbands to “…love your wives, just as Christ loved the church and gave himself up for her,” (Eph 5:25). The gospel empowers and directs joyful, sacrificial love for our spouse. Will the gospel change our selfish mentality overnight? Nope. But given some time, and the mighty grace of God, we will more readily choose to be a servant to our spouse, and we just might see them flourish. Wouldn’t that be worth it? Let’s get to work! America is the land of the free. Every July we celebrate our independence—usually at a cottage on a lake. Our Bill of Rights enumerates cherished liberties (of which we can recall 3 or 4?). We value, promote, and defend freedom. Are we perfect in our pursuit? Of course not. Grave errors are made here and abroad that work against us, cost lives, and undermine our values. My heart breaks for the sin and injustice carried out in and through our nation. But even so, I still love my country and wouldn’t hesitate to chant U-S-A! should the need arise (Olympics maybe?). However, as a Christian, I understand that I have dual citizenship. I’m an American by physical birth, and I’m a Christian—a citizen of heaven—by spiritual birth (Php 3:20). Christians are called to be ambassadors for Christ (2Co 5:20). Being a good ambassador means understanding both the culture you’re in (American) and the one you are called to represent (Christ). So as a Christian, should independence be one of my highest values? Yes and no. On the one hand, the freedom we enjoy is such a good thing. We’re free to gather publicly to worship our God. We’re free to talk about Jesus and to share our faith. We’re free to love our neighbors and serve those in need. We’re free to work and provide for our families. And we’re free to advocate against and act for the reform of evil and unjust institutions, ideas, and practices. This isn’t a luxury enjoyed by Christians everywhere, and I’m deeply thankful for that aspect of our freedom. But on the other hand, in America, our attitude of independence is often elevated higher than our created design. We don’t think we need anyone. Have you ever noticed how hard it is to admit you need help with something? Even something little?? We’re FINE. Independence becomes unhealthy isolation. A friend recently observed that in his neighborhood, every house has unused patio furniture. People don’t stop by. Garage doors protect, fences separate, and conversations and deep relationships are rare. Think about this: how many of your neighbors, within one block, do you know by name? What are their kids’ names? What are they excited/nervous about for their future? Social media only makes it worse. We have a neverending feed of people sharing their successes and celebrations, but we feel more lonely than ever. This is where the value of independence may need to be replaced by the more Christian value of inter-dependence. Inter-dependence is not an unhealthy dependence enabling bad behavior, but the recognition that we need each other because relationships and community were part of God’s design. After all, “The Lord God said, ‘It is not good for the man to be alone.’” (Ge 2:18). Our neighbor’s win is not our loss. But an independent attitude isn’t just bad for the neighborhood. When we see ourselves as fully self-sufficient, without needing anything from God, then our independence has become idolatry. We must not worship and serve our autonomy in place of God. We were made to be wholly dependent upon God. Jesus said, “I am the vine; you are the branches. If you remain in me and I in you, you will bear much fruit; apart from me you can do nothing.” (Jn 15:5) Do you really believe that? Apart from Christ, you can do nothing? God is our Creator (Ge 1:27); we would not exist without his will and his creative work. And God is our Sustainer, “sustaining all things,” every breath, every star, every atom, “by his powerful word” (Heb 1:3). At its heart, sin is the desire for independence from God. But, like a young child running from his parents toward the street, running from God could never result in flourishing life, but only ever destruction and death. God alone is self-sufficient. He doesn’t need us. But the gospel says that God wants us. That’s totally different. Jesus wants a relationship with you. And he was willing to sacrifice everything, even his life on the cross, to accomplish his saving work. Isn’t that amazing? So, faith in Jesus heals our independent attitude. Faith restores dependence upon God and healthy inter-dependence with our neighbor. Faith empowers the selfless and self-sacrificing love necessary for relationships. When we see God’s desire in Christ to restore and build a relationship with us, it strengthens us to make the uncomfortable effort to get out of our isolation. We may have to replace the patio furniture more often, but it could be a great way to be an ambassador for Christ in America, and it might just be more fulfilling than endless, lonely scrolling.